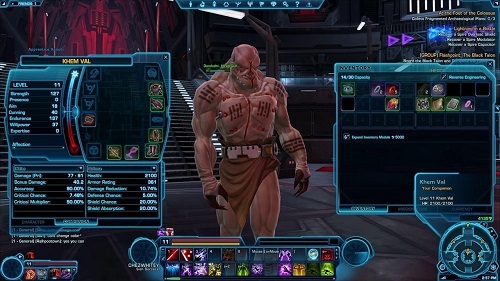 Star Wars: The Old Republic (SWTOR) is one of the great free games like World of Warcraft available. This MMORPG developed by BioWare aims to capture the Star Wars universe in a MMO setting (and succeeds for the most part). SWTOR offers all story content free of charge but players must either make a purchase to qualify for preferred status or purchase a subscription to unlock further content. SWTOR is not only one of the fastest growing MMOs ever but also one of the most expensive in terms of development costs and it shows with the amount of content that is on offer in this sci-fi focused adventure. 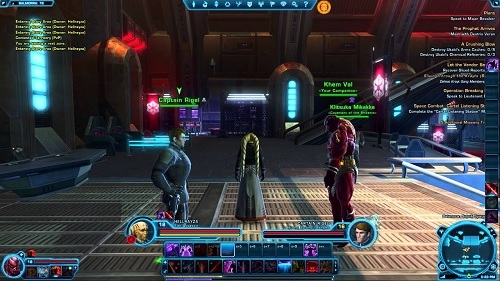 Star Wars: The Old Republic draws heavy inspiration from the fictional universe of Star Wars for its game setting, story and gameplay elements (as you would hope). The game takes place several hundreds of years after the previous Star Wars game adaptations and several thousand years before the popular films. This means that most players won’t recognise much of their surroundings or the story apart from the most die hard Star Wars fans. The two factions available to players are the Galactic Republic and the Sith Empire. The choice of faction though has little to do with the players views and morality, as players can choose how light or dark their character is regardless of faction choice. Like any MMORPG questing and skills form the basis of your time in the online game world with large boss enemies and heroic missions also being available to players that emphasise the need for party members and co-operation. You don’t need friends in the Star Wars universe to be successful though if you would rather explore alone, SWTOR has struck a good balance between solo play and party benefits. This is made possible by the skilling system that allows you to spec for a variety of situations and the reactive story that opens and closes quest lines and companions based on your character’s decisions which helps to give you a place in this busy futuristic sci-fi world. All the bells and whistles that you would expect to see in an MMORPG are present in SWTOR and for the most part are reasonably polished giving the game great appeal to fans of the genre and the Star Wars universe. Massive amount of free to play content. Perfect for Star Wars fans. Don’t play well with others? You can work through the game solo with no issues. You get to play as a Jedi!